IR reflect click carries a GP2S700HCP reflective photointerrupter and an onboard potentiometer. 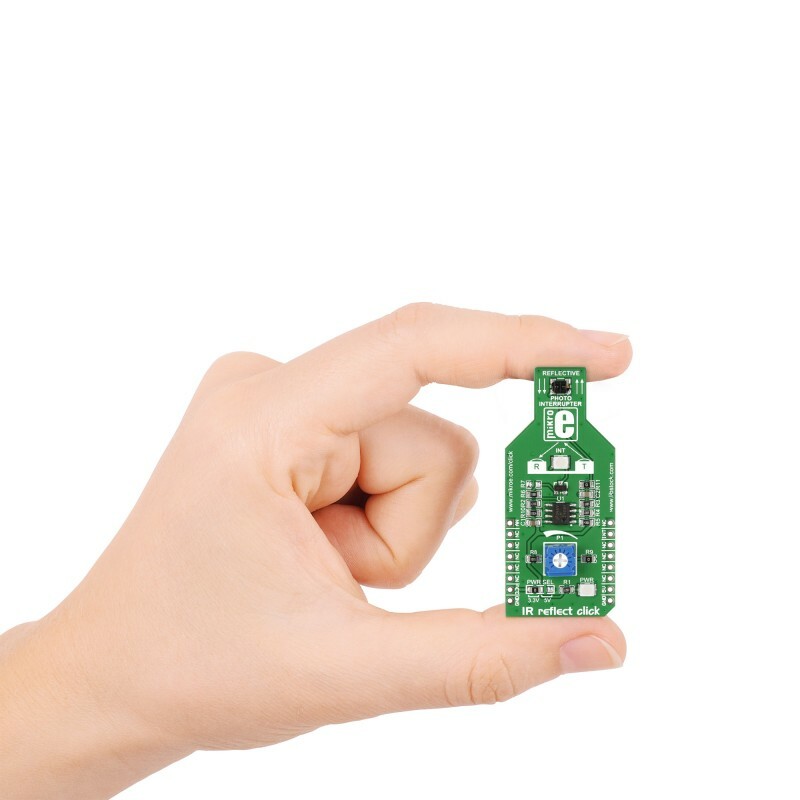 On this type of photointerrupter the infrared emitter and receiver are facing the same direction. IR reflect click carries a GP2S700HCP reflective photointerrupter and an onboard potentiometer. 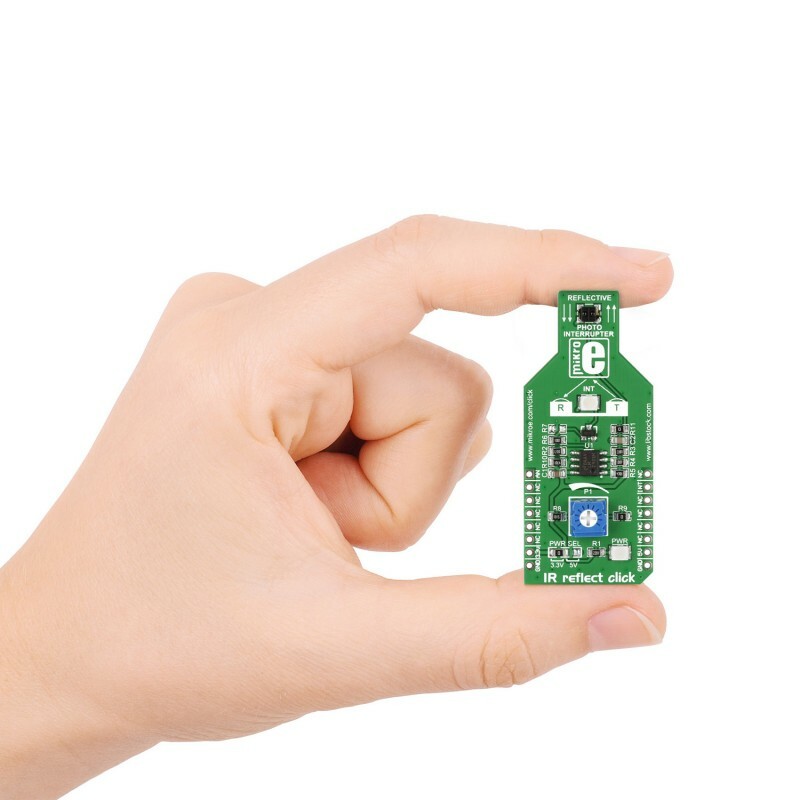 On this type of photointerrupter the infrared emitter and receiver are facing the same direction; the infrared beam from the emitter gets bounced back to the receiver when an object is placed within the detecting range of the sensor. 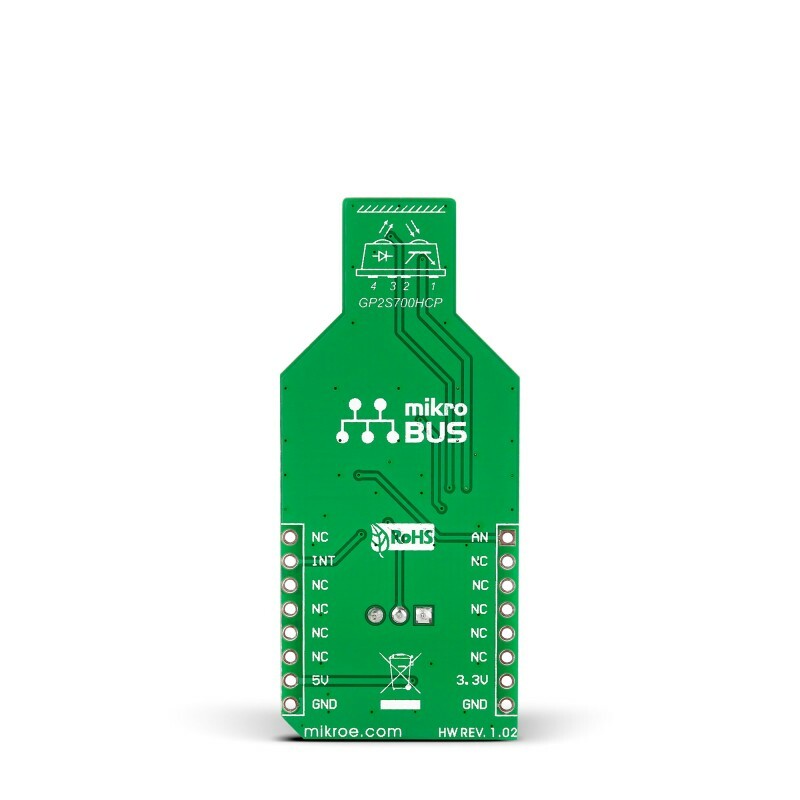 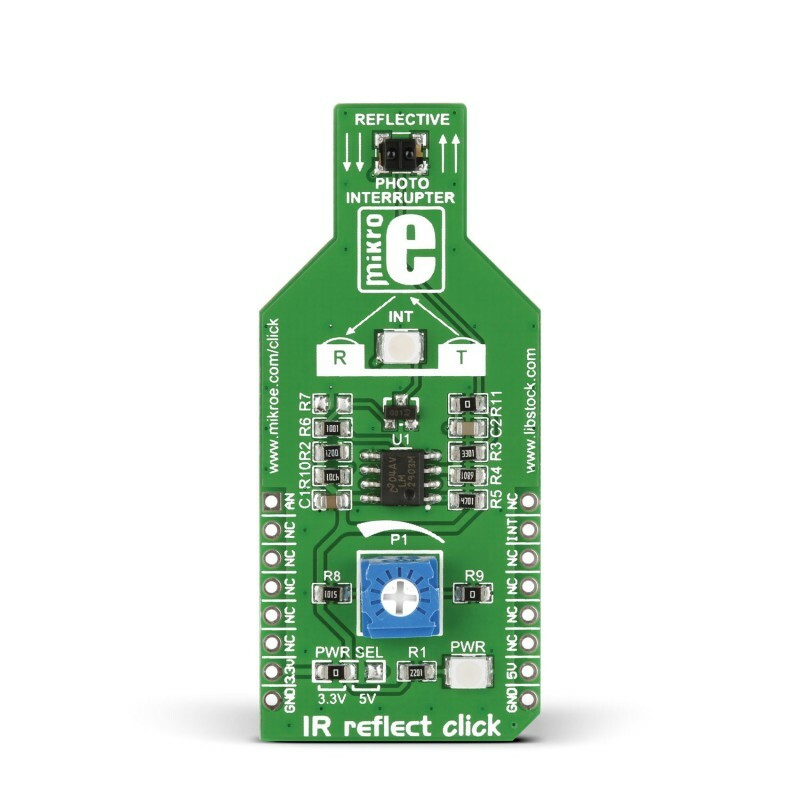 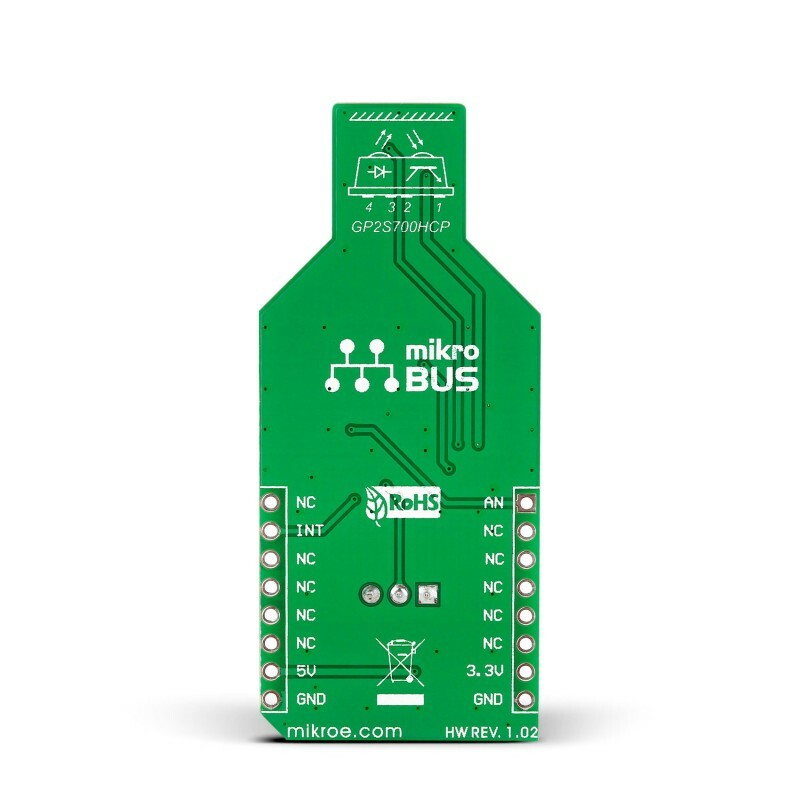 IR reflect click communicates with the target board microcontroller through mikroBUS™ AN and INT pins (an onboard potentiometer sets the Interrupt threshold). 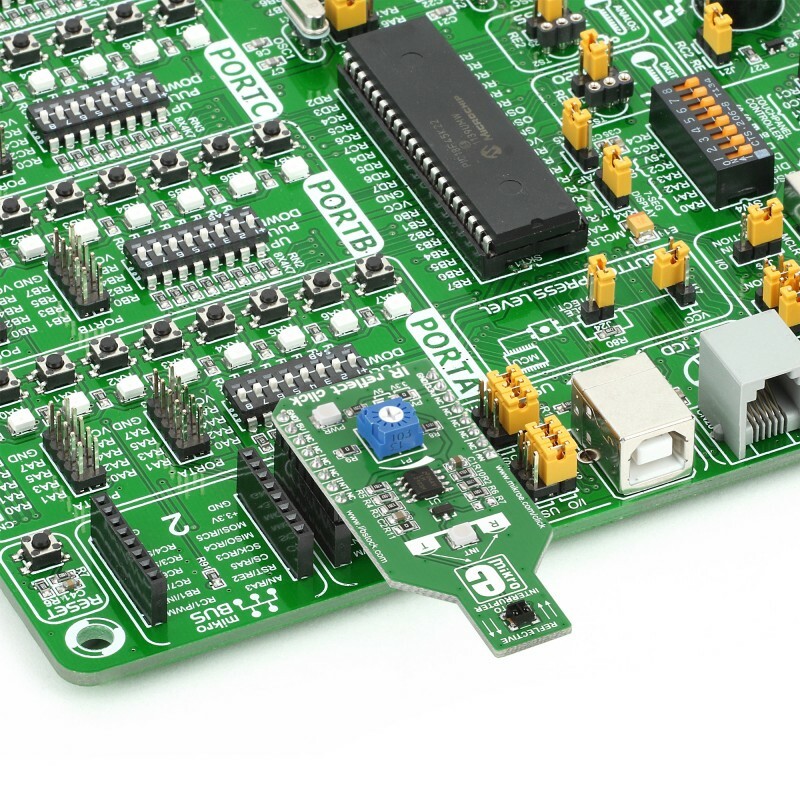 It’s designed to use either a 3.3V or 5V power supply.